Sixt Italy offers cheap car rental in Emilia Romagna designed to cater to all your needs. With discounted rates, modern vehicles and exceptional customer services, hiring a car in Emilia Romagna couldn't be easier. Our extensive fleet caters to all needs. We can offer low-budget cars, mini-buses for families or groups or executive cars for those looking for a high-end experience. Using the menu below, simply select your destination and view what we have on offer for your business trip, holiday or road trip. Booking online with Sixt is fast and simple. Free cancellation is almost always offered within the terms and conditions should you change your mind after booking. In Emilia Romagna you will find vehicles from well-recognised brands including 4x4s, estates, saloons and mini-buses from Fiat, BMW, Audi and Citroen. We offer services from Bologna airport, Forli airport, Bologna train station and Parma/Carebo, meaning you are never far away from convenient, great value car hire in Emilia Romagna. Our Services in Emilia Romagna. Optional extras are available when your rent a car in Emilia Romagna. You can add a child seat to the vehicle, or return the car to a different branch if you are using the vehicle for a road trip. Our friendly customer services team are waiting to assist you to help tailor your rental to best suit your needs. Don't hesitate to request a Sat Nav or an additional driver, a ski rack or snow chains. Which vehicle category to choose? Estate cars ensure there is room enough for the whole family! All drivers must possess a full, valid license that has been held for a minimum of one year. UK drivers must also have a valid and up to date DVLA license code. All other EU and Switzerland driving licenses are accepted without further preconditions. Driving Licences printed with non-Roman alphabet must be accompanied by a valid International Driving Permit. To rent a car in Emilia Romagna, drivers must be aged at least 21 years, and have held a license for a minimum of 1 year. A young driver surcharge applies for all drivers under the age of 25. If you are unfortunate enough to have an accident, please contact the police in the country you are in immediately. The emergency number in Italy is 112. Additionally, please notify your Sixt agency as soon as is safe to do so. A report form and contact details can be found with your vehicle hire paperwork. For how long can I rent a car from Sixt? With Sixt you can rent a vehicle for just a day, weekend, or any longer period of time up to one month. You will need to bring your payment card, i.e. credit card, a valid driver's license and your ID or passport. If paying by debit card you will also need one further proof of address, such a utilities bill. The standard liability covers damages caused by your rental car and not the damage to the car itself. Sixt offers an additional comprehensive insurance plan. Can I collect my vehicle from one branch and return to another? One-way rentals are possible: simply state the desired collection and drop-off branches when booking. A return fee may be added. Do I always need to pay a deposit? Yes, Sixt requires a deposit to be made as security for the rental car. The amount on the credit card is only blocked. Can I book a car with unlimited mileage? Sixt does offer some vehicles with no mileage restriction. The availability of these vehicles is shown in the booking area. Emilia Romagna is a region in northern Italy that borders the Apennine mountains. It is best known for its medieval cities, seaside resorts, and rich gastronomy. Steeped in history and impressive architecture, Emilia Romagna is a popular tourist destination with its three main cities; Bologna, Ravenna and Rimini offering something for everyone. The Emilia Romagna Culture and History. Emilia Romagna is one of the most well developed and wealthiest regions in Europe. It has great cultural and historical importance. To the north of the city is the Apennine mountains, with lagoons and thermal springs occupying a large part of the region. The name 'Emilia Romagna' is a legacy of ancient Rome, with Emilia being from 'via Aemillia', the road connecting Rome to northern Italy which was completed in 187 B.C. Bologna - the capital city of the region - has two Sixt agencies allowing you to access your vehicle rapidly to start taking in the ancient sights on offer. Rimini is to the north east of the region and boasts beachside nightclubs and clear shallow waters on the Adriatic Coast. Temples and medieval fortresses host cultural events on a regular basis. Bologna is the capital city of the region, and with Sixt agencies at both the train station and airport, it couldn't be easier to commence your journey here. Rimini and Ravenna are two must-see cities during your stay. If you arrive in the capital city of Bologna via train or plane, you will be met by elegant and extensive porticoes. Your rental car will be waiting for you to take in the ancient architecture on the winding, narrow streets. Declared a 'European City of Culture' in 2000, and a UNESCO 'City of Music' in 2006, it is less than a 10 minute drive from the airport into the centre of the city where you can take in monuments such as the Fountain of Neptune, the iconic Due Torri, or the Sanctuary of the Madonna Di San Luca. Rimini is the largest resort on the Adriatic Coast. It is around a 1.5 hour drive from Bologna, taking in historical architecture and magnificent views along the route. Boasting 9 miles of white sandy beaches with clear turquoise waters, Rimini is hugely popular amongst both tourists and Italians themselves. 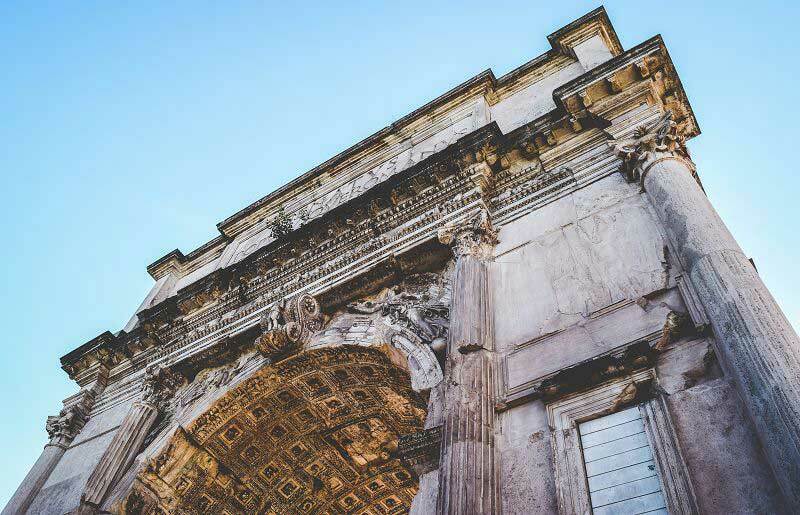 A short inland drive brings you to the old town and its spectacular sights including the Arch of Augustus from 27 B.C., and the Tiberius Bridge from the early 1st Century. An hours drive from Bologna is Ravenna, a city known for its kaleidoscope of mosaics adorning many of its buildings such as the Basilica di San Vitale and the Mausoleo di Galla Placidia. North of the city is the circular tomb of King Theodoric the Great within the Mausoleo di Teodorico, built in the 6th Century. Summers are hot and muggy in Emilia Romagna, with temperatures up to 29.7 degrees celsius on average throughout the summer months of July and August. Spring and autumn are ideal times to visit, where temperatures are mild and the tourist hotspots are less crowded. Emilia Romagna has a muggy sub-tropical climate with thunderstorms a common feature. The best food in Italy is in the Emilia Romagna region. 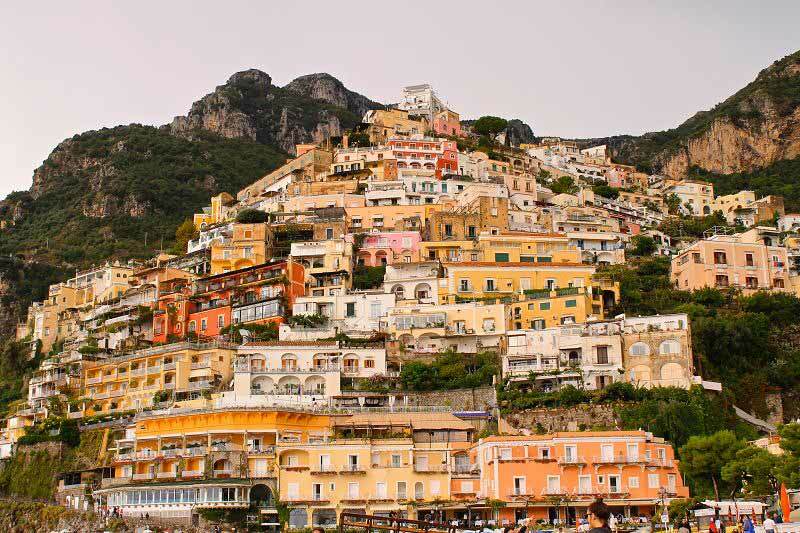 It is long known as the home of parmesan cheese, balsamic vinegar, and prosciutto. The region is home to the town of Parma - known for its delicious ham, Modena - known for its balsamic vinegar and meats, and Bologna - known for its exquisite pasta dishes. Emilia Romagna is the ideal destination for a family trip. The beaches on the Adriatic coast benefit from clear, shallow waters with lifeguards ensuring everyone's safety. Family excursions may include a castle tour at the Antico Borgo di Tabiano Castello castle or an exciting tour of the factory and track at the Ferrari Factory. Family treasure hunts or glass working projects help to keep children entertained during their stay.